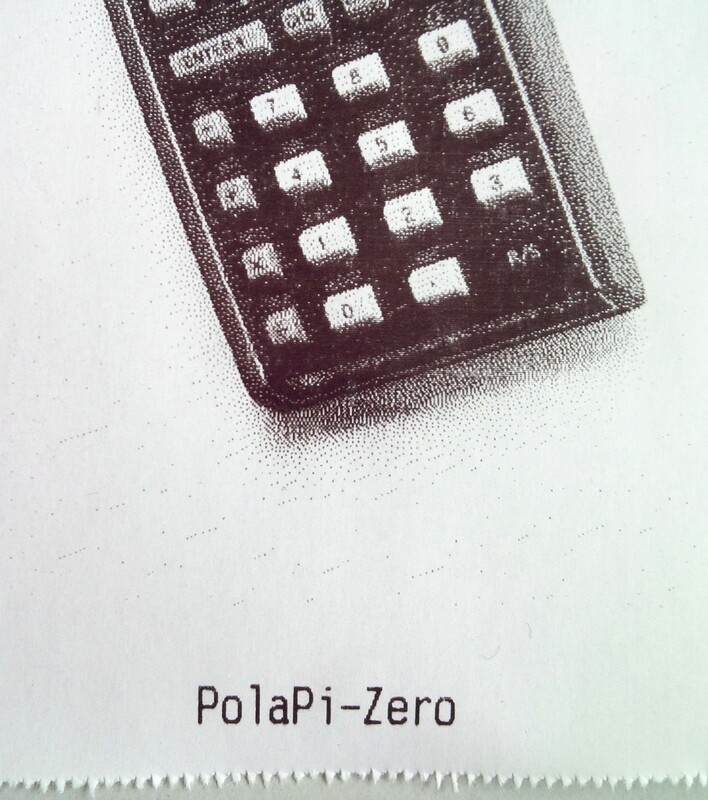 The ‘Pola’ in the PolaPi is a giveaway for what this Hackaday.io project is. This polaroid-like camera, created by [Muth], is a sort of black and white, blast from the past mixed with modern 3D printing. 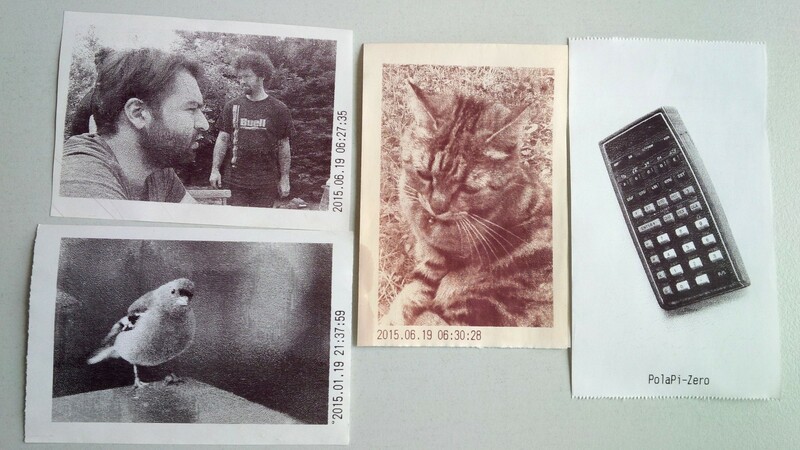 It is based on a Raspberry-pi Zero with a camera module, a Sharp memory LCD for viewing the image, and a Nano thermal printer to print the actual photo. Throw in some buttons, a battery and a slick 3D printed case and you have your own PolaPi. Right now it’s already on the second iteration as [Muth]s gave the first prototype to some lucky person. As he had to rebuild the whole camera from scratch, he took advantage of what he learned in the first prototype and improved on it. The camera has a ‘live’ 20fps rate on the LCD and you can take your photo, review it, and if you like the shot, print it. The printed photo is surprisingly good, check it out in the video after the break. Currently the software is being actively developed and the latest version has, among other things, a slit-scan mode. For those who don’t know, slit-scan photography is a technique that can create some crazy warped and psychedelic effects (in this case, as psychedelic as a black and white photo can be). We know you want one for yourself. If you don’t want to spend the time installing and configuring your RPi Zero, [Muth] kindly shared an SD card image with everything ready. It’s not the first camera of this kind we covered here, we covered at least two in the past, but this one sure looks nice! You can get a raspi zero to gui boot in around 10 seconds with a bit of sd card overclocking, and systemd configuration. Im sure if you ran a barebones linux and get it to a sub 5 sec boot especially if you didnt need any services like networking, ssh, etc. And, a lot of that boot time is the kernel making sure hardware components are still there. You can actually force the kernel to load without checking on hardware at all. ChromeOS does this. Did the video have audio? I didn’t hear any. I do give him kudos on the HP Calculator drive-by. Which model is it? That would be an HP-65. Oh my. A co-worker of mine had one in 1981, and it was old then. He and I both went out and each bought a new HP-41C because of it. (I still have mine. It still works). True, it is exactly a HP-65. It is still working, except the small internal wheel driving the small program magnetic cards completely dried out. Get on hpmuseum.org IIRC, someone a few years ago was selling/making replacement wheels. Nice looking. Even the prices are reasonable. I sure hope they did a better job than the made-in-China “reimagining” of the HP15C Limited Edition. What a horrible quality disappointment that one is. Hmmm… those pictures may be toxic waste… or what chemicals are used today for that stuff? Yes. The boot time is absurd. For this application you need to figure out what you really need and only use that. With a pi the process of getting to that situation is a lot easier than with for example a PC. With the pi you can tweak things on an other computer than the pi under developement, as the boot device is removable. With a PC that usually is not the case. Anyway, try with init=/bin/myscript and just start the main application. Of course you’ll find that it doesn’t work, for example because/proc is not mounted or something like that. Remove the SD card add the mounting of /proc and try again. There are some “wait for … ” drivers in the kernel that cause the kernel boot time to be on the order of several seconds. But you can have a pi up-and-running (doing specialized stuff) in sub-5 seconds this way. Do you have a link to a blog post or anything that goes into that with more detail? Sorry… No: That’s the way I’ve been doing it when necessary the last 25 years. One day mid-nineties I got fed up not being able to see the boot messages of my Linux machine. You see: I had a fixed-frequency high resolution monitor, not intended for PC use. Once X had started up I had a perfect image. So that’s when I replaced init with a script to start X, start an Xterm and run the rest of the boot (i.e. init) inside that xterm. Turns out X required “ifconfig lo 127.0.0.1 up” and one other command (I don’t remember what) before it would run. You’re right, boot time is not great. It should be shorter. For now I still need wifi on it for example. I have to learn how to optimize linux boot time, I don’t have yet a lot of experience, on that domain. I hope I will manage to have something tolerable. I suspect the reason the picture is surprisingly good is that its a fairly simple dark object on a white background with good lighting. I’d love to be wrong though as it is a cool concept. It would be nice to see some pictures closer to the sorts of things you’d actually use a camera that can print on the go for. Outdoor portraits and such. Awesome! Those are actually quite a bit better than I was expecting. Of course the really advanced (though cheap) computer inside is doing all the hard work. You know what would really be a hack? If somehow you could connect the image sensor to the printer WITHOUT a full bootable computer in between. 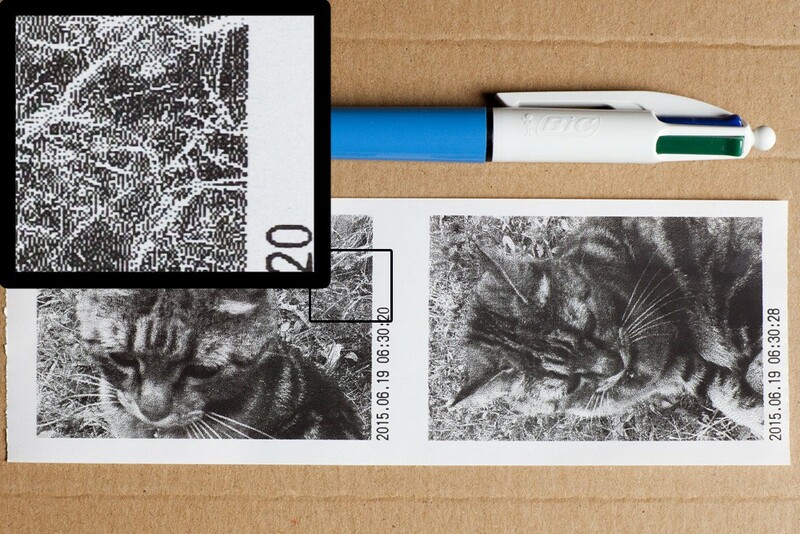 Image something wired up so, as the printer head moves across to print, it reads & converts exactly that part of the image sensor, so it literally prints exactly what it’s in front of it. Almost a mechanical camera. Something like this shouldn’t need so much “computer processing”. Thanks a lot Pedro Umbelino for this nice article !